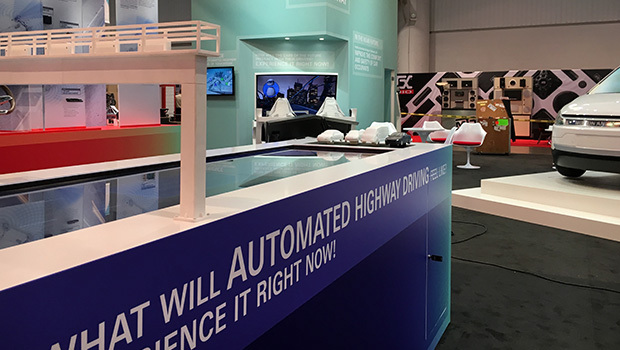 ZF - Highway Driving Assist Table Modern automobiles are equipped with a variety of sensors and components for automated driving. 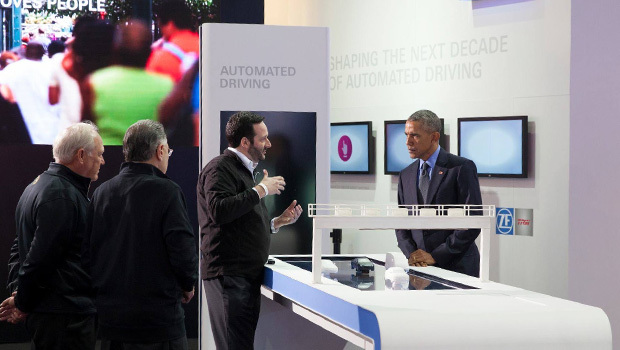 The Highway Driving Assist Table was created so that enthusiasts and trade show guests could play with these functions to their hearts’ content, and check out their many uses. 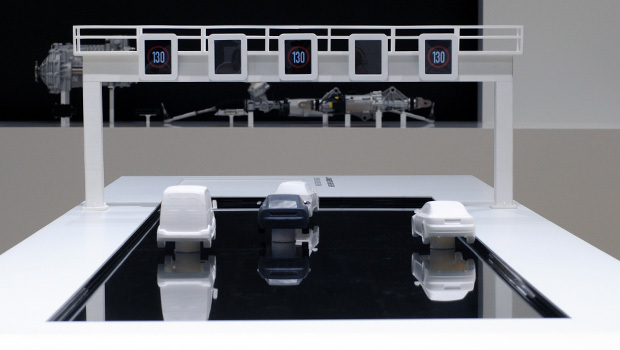 It recreates a section of highway, where the user can place 3D printed vehicles and set them in motion. These vehicles are tracked and, depending on the evaluated traffic data, initiate explanatory animations and sample videos. Special appeal: the road beneath the vehicles is, at the same time, the display, combined with a pre-installed gantry, so that interactive content about the ZF Driving Assist System can be viewed on a total of five touch screens. Las Vegas, Detroit, Shanghai and Hanover – due to great response, the showcase has already been presented many times. A truck version was also developed in 2016. Nostalgic memories of childhood Carrera race tracks intentional!